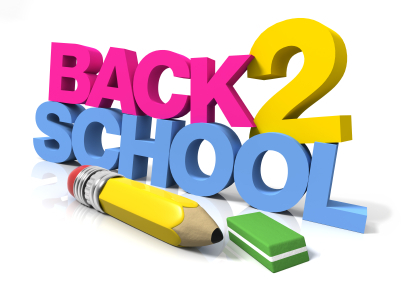 Schools are about to open and you're probably feeling excited and maybe a little sad that holidays are just about over. Back to School comes with a barrage of projects, homework, sports practice and of course a day filled with pickups and drop offs. In life all achievements come with some sacrifice. "The roots of education may be bitter, but the fruit is sweet"
Back to school time also means adjustments for children and families; the first day of grade one, new schools, new classrooms, new teachers and for adults sometimes new jobs. Change is sometimes exciting and sometimes frightening, but this can also be an opportunity to set new goals. It's is a new year, 1437 of the Hijri Calendar and each year goes so fast like a quick turn of a page. This is why planning and setting goals is so important. As Muslims all our plans should be aimed at achieving our final goal which is to please our Creator Allah Ta'ala. We need to plan ahead. "He who fails to plan, plans to fail!" Here are a few points to keep in mind when planning for this year. · Niyyah (intention): Our intention before doing anything is very important. The Messenger of Allah(peace be upon Him) has said "Every deed is judged by its intention. "(Hadith-Bukhari) Plan and do lots…but it must be ONLY to please our Creator. · Make mashwera/shura (mutual consultation): To consult with your family is important as it unites the heart on a common purpose. All activities whether big or small should be discussed. Sit with the family daily at a mutually convenient time and plan our activities. See where we are and where we want to reach in this coming year. Check our level of Deen and plan to improve upon it. Discuss our day to day affairs. We may even discuss and allocate turns for household chores, or even who sits where in car, etc…this can save a lot of time and arguments early in the morning. To make Mashwera is a sunnah and will bring great barakah(blessings) in our home. It will also grant us an opportunity to plan our lives productively and Islamically. · Make attainable goals: Sets goals realistically and intelligently. Set goals that are attainable. Most important Make Deen the priority in our lives. Monitor your progress and place reminders and back your resolutions with planning. · Family time: Set aside quality time for the family. Be interactive, listen and pay attention to them especially when they call on you. Engage them in Taleem (Educational programs), for the smaller ones also read Islamic stories and even make it a practice to discuss the day's events with them. There is NO SUBSTITUTE for parental guidance and supervision. "Your children need your presence more than your presents"
· Homework: Turn off the T.V, BBM, WhatsApp, Facebook and other social networks…put away your concerns and concentrate on being a parent. Look through your child's homework diary as your child's teacher uses this as a main connection between you and the school. "Don't do homework for them, Do it with them!" · Daily routines: Let your child be involved in the small things like packing lunch, laying out clothes(uniforms) etc this teaches them responsibility. Start bed time routines a week before school starts. Ensure punctuality in Salaah(prayers). Read your duas together in the morning and evening. Make going to and from school educational by reciting duas collectively in the car. In a short time they will memorize the duas of travelling. · Educational goals: Plan big! Enrol your kids for the best available education…enrol your kids for Hifdh (memorisation of the Qur'an).You may have also realised how weak your Islamic knowledge is. Make time to attend some Islamic classes, or sit for Taleem Halqa at the Masjid. Ladies can join the weekly taleem (educational) programs in their area. Consult with your local Islamic Scholars regarding suitable Islamic educational programs. · Identify your career goals: Choose your curriculum carefully and wisely. Maybe you always talked about making the career switch to a more Halaal(Pure) source of income or adjusting your work times for salaat with jamaat (congregation). You may need to adjust your times so as to spend some quality time with your family. Whatever your reasons maybe, identify a career that will benefit your family both in this world and the akhirah(hereafter). · Wake up every day with a purpose: We wake up often knowing we should be doing something important today, but have failed to plan! Prepare for our higher purpose otherwise our day will become less productive. · Uniforms and Stationery: Make sure uniforms are purchased timeously and that it conforms to Islamic requirements. If your kids encounter any resistance from the educational institution regarding their Islamic attire or other Islamic practices then be diplomatic and discuss and resolve the matter with management respectfully. Also ensure that you obtained a list of stationery required early so that it could be budgeted for and purchased well before hand. · Lunch boxes, breakfasts and diets: Research shows that breakfast eaters have better concentration and muscle co-ordination. Kids need healthy lunch box snacks that maintain blood glucose levels which help concentration, so keep away from fuzzy drinks, chips and chocolates for lunch. A good idea is to plan a lunch box menu for the week. · Take account of yourself daily: We need to be alert of our development so that we progress. Therefore we need to daily reflect on our progress or a lack of it. The Messenger of Allah (peace be upon him) has said" the feet of the son of Adam will not move on the Day of Judgement until he is asked about five things: how he spent his life, how he spent his youth, from where he acquired his wealth and how he spent it, and what he did with his knowledge." So we need to be conscious on how profitably we use every second of our lives. Remember that a Muslim sets goals that are in harmony with our accountability in the Aakhirah (Hereafter)... so take pen to paper and plan for a better life, seeking Allah Ta'ala's Guidance, Help and Forgiveness. The Messenger of Allah (peace be upon him) has encouraged us to make the following du'a "Oh our Lord, give us good in this world and good in the Hereafter, and save us from the torment of the fire." Back to School may be demanding and at times stressful but keep in mind that an investment in knowledge always pays the best interest! A young couple moves into a new neighborhood. The next morning while they are eating breakfast, the young woman sees her neighbour hanging the laundry outside. "That laundry is not very clean", she said. "She doesn't know how to wash correctly. Perhaps she needs better laundry soap. "Her husband looked on, but remained silent. Every time her neighbour would hang her washing to dry, the young woman would make the same comments. About one month later, the woman was surprised to see a nice clean laundry on the line and said to her husband: "Look, she has learned how to wash correctly. I wonder who taught her this." "The husband said, "I got up early this morning and cleaned our windows"
We have to try hard to embrace the struggles of life and Trust in Allah. There's no development without pain. Life's difficulties are necessary for our own development, so when they come along, accept them, embrace them and never ever lose hope and always place complete Reliance and Trust in Allah. Problems are to the mind what exercise is to the muscles; they toughen and make you strong. The only survivor of a shipwreck was washed up on a small, uninhabited island. He prayed feverishly for Allah to rescue him, and every day he scanned the horizon for help, but none seemed forthcoming. He nevertheless remained hopeful of Allah's help and continued his praying every day. The "worst" had happened; everything was lost. He was stunned with grief. "Allah, how could this happen to me!" he cried. Early the next day, just before Fajr Salaah (early morning prayer) he was awakened by the sound of a ship that was approaching the island. It had come to rescue him. "How did you know I was here?" the man asked the sailors on the ship. "We saw your smoke signal," they replied. Remember, next time your little hut is burning to the ground--it just may be a smoke signal that summons The Grace and help of Allah! For what? You didn't do anything wrong. I'm sorry because you get hurt because of me. Whenever I made a mistake, you're always there to erase it. But as you make my mistakes vanish, you lose a part of yourself. You get smaller and smaller each time. That's true. But I don't really mind. You see, I was made to do this. I was made to help you whenever you do something wrong. Even though one day, I know I'll be gone and you'll replace me with a new one, I'm actually happy with my job. So please, stop worrying. I hate seeing you sad. 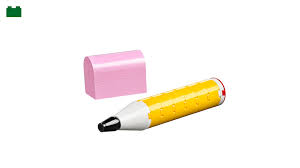 LESSON: Parents are like the eraser whereas their children are the pencil. They're always there for their children, cleaning up their mistakes. Sometimes along the way, they get hurt, and become smaller / older, and eventually pass on. Though their children will eventually find someone new (spouse), but parents are still happy with what they do for their children, and will always hate seeing their precious ones worrying, or sad….However our parents are getting smaller and smaller each day…One day, all that we would be left with will be eraser shavings and memories of what we used to have. E ISLAM NOW ON WHATSAPP! All Praise be to Allah Ta'ala, for the past 12 years E ISLAM has been circulating motivational messages via email to thousands of subscribers worldwide which has indeed been a great source of benefit to many. From feedback we have noticed how E ISLAM's inspirational and educational articles have an amazing ability to motivate and bring about meaningful change in attitudes and lives of people. Our research indicates that presently WhatsApp has been at the forefront in broadcasting information globally. 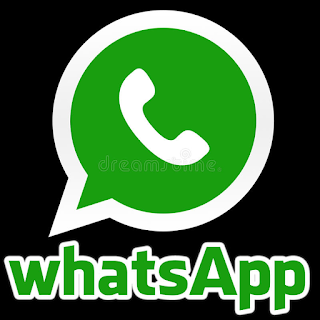 E ISLAM has therefore decided to introduce a WHATSAPP BROADCAST SERVICE to afford subscribers the opportunity of getting Inspirational Messages and Wisdom on their Mobile phones. It's quite simple to register! Also please save the number on your Mobile Phone as E ISLAM. Imagine you had a bank account that deposited $86,400 each morning. The account carries over no balance from day to day, allows you to keep no cash balance, and every evening cancels whatever part of the amount you had failed to use during the day. What would you do? Draw out every dollar each day! 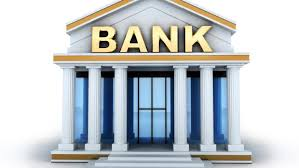 We all have such a bank. Its name is Time. Every morning, it credits you with 86,400 seconds. Every night it writes off, as lost, whatever time you have failed to use wisely. It carries over no balance from day to day. It allows no overdraft so you can't borrow against yourself or use more time than you have. Each day, the account starts fresh. Each night, it destroys an unused time. If you fail to use the day's deposits, it's your loss and you can't appeal to get it back. There is never any borrowing time. You can't take a loan out on your time or against someone else's. The time you have is the time you have and that is that. Time management is yours to decide how you spend the time, just as with money you decide how you spend the money. It is never the case of us not having enough time to do things, but the case of whether we want to do them and where they fall in our priorities. The Messenger of Allah Ta'ala Muhammad (peace be upon him) is reported to have said: "There are two blessings which many people lose: (They are) health and free time for doing good" (Hadith- Bukhari). "I will pass this way but once, so let me do whatever good I can now for I may never pass this way again!" The Month of Ramadaan is coming to an end and the transition from Ramadan to Eid and thereafter should be a path that brings us closer to our Creator and a path that treads the Sunnah i.e. The way of the Messenger of Allah (peace be upon him) . After a month of sacrifice, Allah Ta'aala takes it upon Himself to reward His faithful servants. Allah Ta'ala is the Most Generous and Most Benevolent. Indeed Allah Ta'ala's Generosity multiplies in Ramadaan. When Allah Ta'ala sees His servants carry out all their duties faithfully and strive to gain closeness to Him through their Fasting ,Salaat ,patience ,recitation of Quraan ,zikr ,dua ,and controlling of even permissible desires and needs like food, drink etc. then Allah Ta'ala bestows on His faithful servants a special prize on the night preceding the day of Eid. EID-UL-FITR: Celebrated on the first day of Shawwaal, at the completion of Ramadhaan. Shawwaal is the 10th month of the Islamic calendar. Eid-al-Fitr is a very joyous day for the believing men and women. On this day Muslims show their real joy for the many blessings Allah Ta'ala has given to them to fulfil their obligation of fasting and other good deeds during the blessed month of Ramadhaan. Dress up, putting on best clothes available. Eat something sweet before proceeding to the Eid Musallah e.g. Dates etc. Pay Sadaqatul Fitr before Salaatul-Eid (on Eid-al-Fitr). Go to Eid Musallah (Eid Gah/prayer ground) early. Offer Salaah-al-Eid in congregation in an Eid Musallah except when weather is not permitting like rain, snow, etc. Use different roads en route to the Eid Musallah and back home. Jubayr ibn Nufayr (RA) said: 'When the companions of Allah Ta'ala's Messenger (peace be upon him) met on the day of `Eid, they would say to each other, 'TaqaballAllahu Ta'ala minna wa minkum (may Allah Ta'ala accept from you and us )." (Fathul Bari ). Keep in mind the pleasure of Allah and uphold Shari'ah at ALL times. Adorn yourself and your family modestly in the best of garments (not necessarily new). Avoid over eating and other festivities that have no benefit. Visit the poor, needy, orphans, elderly and sick. Should Eid be made at "my mum or your mum or wherever?" This requires Shura/Mashurah (mutual consultation). Shurah is a Sunnah of the Messenger of Allah (Sallalaho alaihe wassallam).Try to compromise and accommodate each other. Don't forget the suffering, oppressed, poor and needy Muslims in all parts of the world in your du'as and charity. Be punctual with our acts of worship and on this joyous day. BE CAUTIOUS!- Avoid excessive indulgence of any kind and stay away from places where the laws of Islam are violated. It is a joyous occasion indeed and let it be spent in ways that are pleasing to our Creator. Use the day profitably to earn the pleasure of Allah Ta'ala and continue to do so everyday. A Muslim is Muslim for life and not just during Ramadaan. WHAT NOW AFTER RAMADAAN…We leave the month Ramadaan, its beautiful days and nights,we leave the Month of Mercy, Quraan , Taqwa and Ibadat, sympathy ,forgiveness...we need to ask ourselves: Ramadaaan is over and what have we gained? Ramadaan was a 30 day course on self restraint and piety , have we graduated from the course having learnt to fight our desires and defeat them..? Have we recharged our spiritual batteries and gained Taqwa (Allah consciousness)? If we have …then ALHAMDULILLAH (Praise be to Allah)…now let us continue to obey Allah Ta'ala and ask Allah Ta'ala to keep us steadfast. Ramadaan is over and Shawwal has come, let us save the changes that we all made in our lives during the month of Ramadaan. Let Ramadaan not be a final destination but a stepping stone to greater good from now on. We need to make a firm resolution to continue with the momentum and lead a life of piety and free of sins. We now face another eleven months after this training. Let it be that we come out stronger and better servants of Allah Ta'ala…AMEEN!